Measures 12 3/4" in diameter by 5 3/4" high. Great for banquets, recptions, and much more! This 8 qt., clear plastic punch bowl is the perfect way to entertain at your next event. Made of heavy duty plastic, this 8 qt. 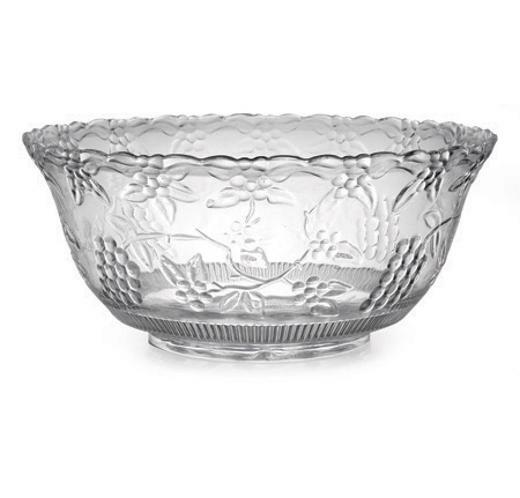 disposable punch bowl features a crystal clear design. Perfect for serving beverages, salad, bread, and other finger foods. Great for banquets, receptions, and much more! Measures 12 3/4" in diameter by 5 3/4" high.